Alberta Hunter, one of the most influential jazz and blues singers of the 20th century, worked as a nurse for over 20 years. 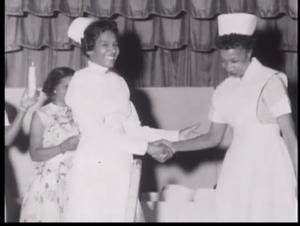 She entered the nursing field after a 45-year music and theatre career that took her from Memphis to Chicago, New York, London and Paris. She had to lie about her age to get into nursing school and was forced to retire from Goldwater Memorial Hospital when she was 82 although the hospital thought she was 70. Undaunted, she then began a second musical career that lasted until her death in 1984.